Sheriff's investigators have begun the agonizing task of scouring through the wreckage of California's most destructive fire on record in search of the dead. By Sunday, the death toll had reached 31, but it seemed likely to climb. PARADISE, Calif. (AP) — As relatives desperately searched shelters for missing loved ones, crews stepped up the search for bodies in the smoking ruins of Paradise on Sunday, loading the remains of at least one victim into a hearse. Wildfires continued to rage on both ends of the state. A Northern California sheriff reported an additional six casualties Sunday night, bringing the statewide death toll to 31, matching the deadliest wildfire in state history. 228 people are still unaccounted for in the massive Camp Fire that ravaged a swath of Northern California. The worst of the blazes was in Northern California, where the number of people killed in that fire alone reached 29. 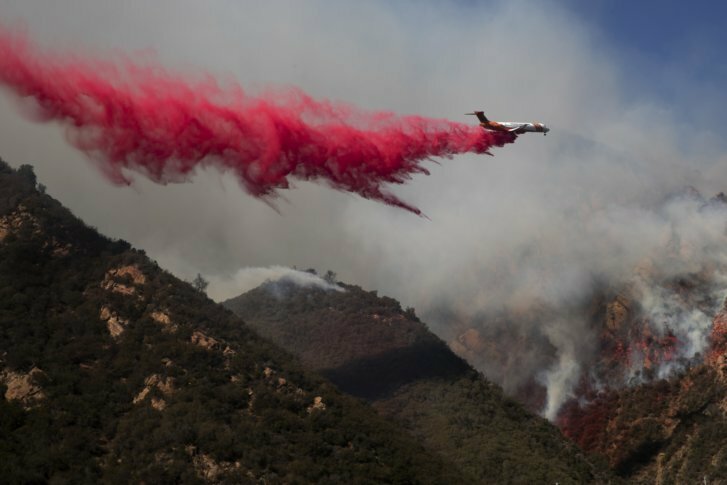 Two people were also found dead in a wildfire in Southern California, where flames tore through Malibu mansions and working-class Los Angeles suburbs alike.